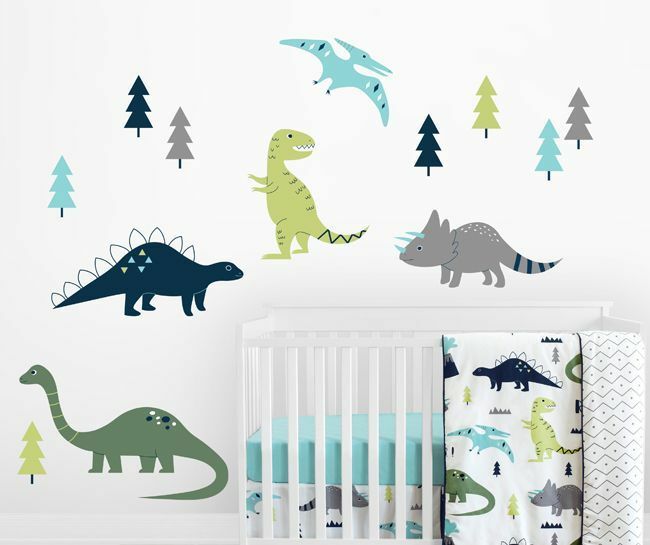 Blue and Green Mod Dinosaur large wall decals by Sweet Jojo Designs will add a unique charm to your home. These high quality stickers have a peel and stick backing making them super easy to apply. They are removable and repositionable, giving you the perfect finishing touch to any accent wall. Easier to use than paint or traditional wallpaper, this effortless wall decor will allow your creativity to shine through by transforming the walls in any room into exceptional works of art. 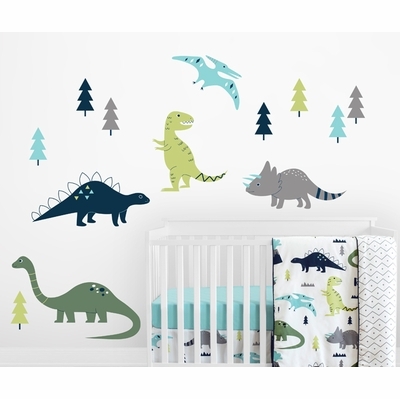 *NOTE: These decals look best on white or light color walls. They are intended for standard flat wall finishes and may not adhere completely to a textured wall. Please consult a professional if you are working with a non-standard wall finish.